Moodle has announced version 2.9 of the open source learning platform, featuring a navigation and user interface redesign focused on ease of use for students, educators and administrators. "Our core goal is to support and improve education by making our teachers and trainers more effective, and Moodle continues its evolution in Moodle 2.9 with enhancements for users at all levels" said Martin Dougiamas, Moodle founder and CEO, in a prepared statement. "Working from the navigation overhaul specification with the input of the HQ team and community over the past 12 months, the core interface has seen some solid progress in making Moodle simple and friendlier for educators and students." Course enrolment improvements (keyholder, multiple cohort and meta link enrol). Available to download free at the Moodle community site, Moodle 2.9 is the last of the major releases for Moodle 2, and will be supported for 18 months. 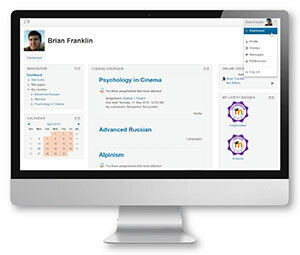 A Moodle 3.0 release is anticipated for later this year.